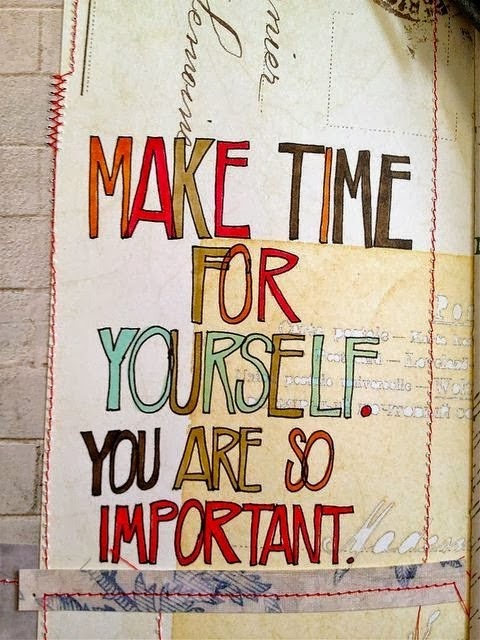 As adults, we tend to forget to make time for ourselves. We over-extend ourselves whether it's for our children, work, friends, family, blogs, etc. but how much time do we really make for ourselves? I am not sure I am one to give tips in this regard as I am not sure I really make enough time for myself but I am trying to do more. I haven't dated in quite some time and I remember when I was stood up and the guy gave a lame excuse and a friend of mine (this was on a dating message board and although we haven't met in real life, I do consider them my friends) on a forum said "We make time for what we want" and that is extremely true. I don't know about you but I willing trade sleep for an extra chapter or one more episode. I have been finding myself becoming more and more exhausted and I know it's because I am overwhelmed but I am trying to find a way to clock in more ME time. These may or may not work for you but you may even be able to tweak these to fit your particular lifestyle. Shut off the computer at night. This is something I have started recently. When I leave for work in the morning, I completely shut my computer off. Oh my gosh..... this one is so hard for me especially because of my blog! However, I have scheduled AM time with this lovely blog and weekend time. This is a work in progress so... I will let you know if this is a go or a bust. If you don't have the option on your cell phone to do that, maybe put it on silent all night? This one may be tricky if your cell phone doesn't have the capabilities and you rely on your phone for your wake up alarm. My iPhone has a Do Not Disturb Option which I love. I can get texts, emails, etc. during the time period I set it on but there is no sound alert. Now, if messages come through from my Favorite Contacts, then I believe they come through. It's so nice to not be disturbed during those times. Hopefully, there is not an emergency during Do Not Disturb time. However, I do keep my phone nearby because it is my alarm. After the kids/spouse/etc. are down for the night- that's when the party begins. I kid. I kid. Well, maybe not. This is when I relax with a book, watch a show, work on a few crafts, whatever I want for down time. I can take a long hot shower. I can drink a glass of wine. Find somebody to take care of your child for a few hours and run away. I am not kidding. Run away for a few hours. Go to the coffee shop and feel like hipster. Go buy yourself some lunch. Peruse a few shops. Get a massage. I only have four ideas at this time. I am a full on single parent and that means I don't have parents to take her for the weekend, her father is not in her life so there are no weekends with daddy, I don't have much in the way of support and her respite provider is available on Saturdays from 10-2. That is my escape time.